We'll wear them down by letting them score early. I wanna see a goal by the real deal. Rittich is playing well again, but the team isn;t bailing him out...At all. There's no reason to let them have a 2 spot. Bring this back home guys. If we can get the next one, the momentum will swing. Yeah, otherwise his contract is going to be known as a "real steal by James Neal". 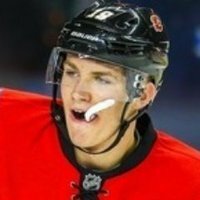 You know I have to agree with Burke, if this team is going try and play this physical brand of hockey they have to get different players into the lineup. This team is built for speed and skill, but they aren't player their game, they are letting the Oilers dictate and slow down the game. Have to stop worrying about the Oilers and just worry about themselves. Too much passing. Need to simplify. Funnel pucks to the net. Oiler goalie hasn’t been forced to make a save. All have been routine. Doubt he’s broken a sweat yet. 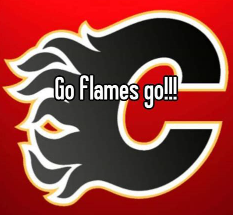 The Flames is not playing as a team right now. Way too many missed passes. Edmonton is basically rolling out a 1st line and 3 4th lines, have to do better at taking advantage of Edmonton's lack of depth. Okay, this worked once before. We should decline the penalty because our PP is so terrible. Strange we had the puck nd they blew it dead. AT least that's the way it seemed. Gio is all over himself tonight. Rittich just bailed out his defense man.